We enjoyed Breyers Gelato Indulgences on our impromptu date night as part of a post sponsored by Breyers through their partnership with Mom It Forward Blogger Network. Why is it that life is always so busy? I thought that things would slow down over the summer with the relaxed schedule and lots of free time, but it didn’t. Now that the kids are back in school, it’s as busy as ever. As much as we would like to have a weekly date night, it usually ends up being more like a monthly date night. We finally had an impromptu date night last week that included working on a kitchen table makeover and enjoying delicious Breyers Gelato Indulgences! 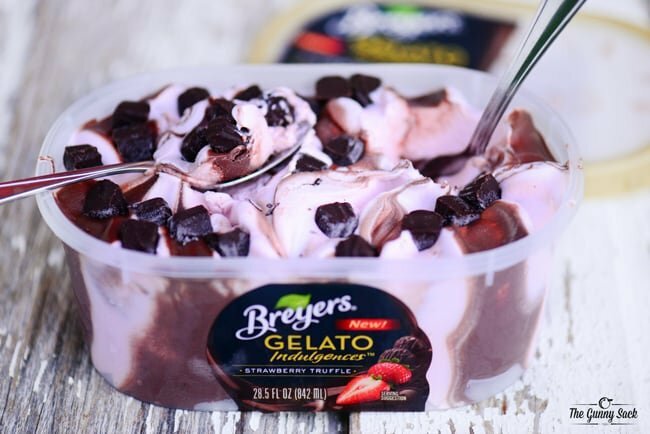 Breyers Gelato Indulgences feature a rich trio of textures: creamy gelato, luscious sauce and gourmet toppings that inspire and elevate the best moments of the day. It’s the ultimate indulgence for an impromptu at-home date night. 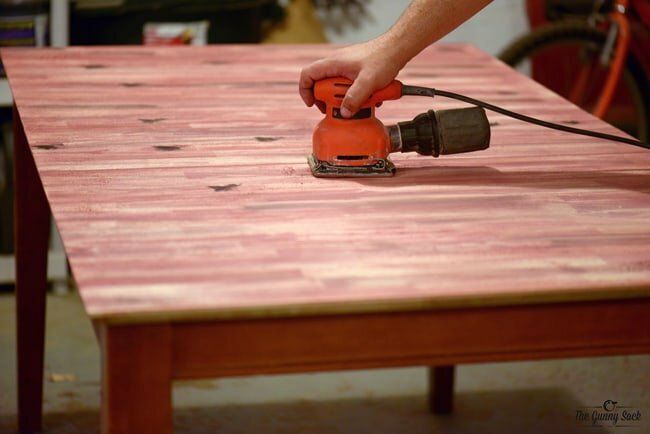 The table that we use most often was looking too well loved and well worn. It was in desperate need of a makeover. The finish on the table was worn down and scratched in the exact places where we sat to eat meals and do homework. After talking about it fixing it for way too long, we finally decided to start working on it together. First we sanded off the old finish. Then, we started putting on layers of different colored stain, some in random spots and some in long streaks, sanding as we went. 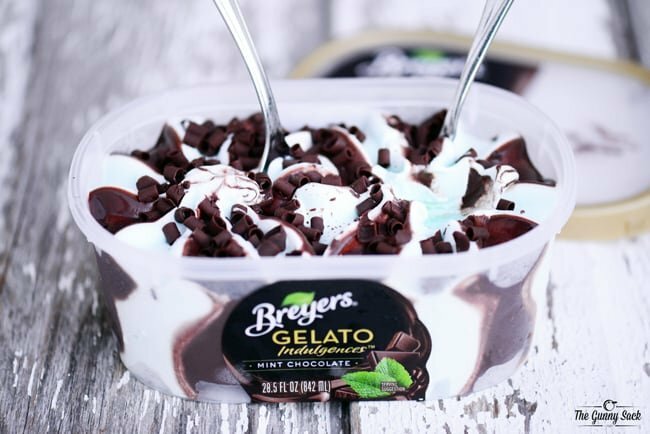 When we finally packed everything up for the evening, we went inside to try four new Breyers Gelato Indulgences flavors. The mint chocolate flavor was my favorite. It is mint gelato with a rich fudge swirl and gourmet chocolate curls on top. The combination of mint and chocolate in the smooth, creamy gelato was delicious! My favorite thing about the Breyers Gelato Indulgences Strawberry Truffle flavor is the strawberry truffles. I’ve always loved chocolate covered strawberries so this gelato is perfect for me. It features strawberry gelato with a rich fudge swirl and gourmet dark chocolatey strawberry truffles. 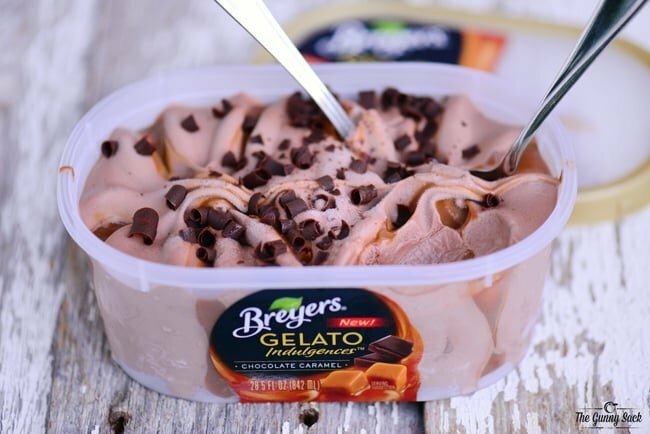 What’s not to love about Breyers Gelato Indulgences Chocolate Caramel? This classic combination of flavors makes for a wonderful, smooth gelato! It features chocolate gelato topped with luscious caramel sauce and gourmet chocolate curls. Brian’s favorite flavor is the Breyers Gelato Indulgences Cappuccino flavor. It has cappuccino flavored gelato with a foamy cream swirl and is topped with gourmet mini chocolate chips. Although we didn’t complete the table makeover, we had a really nice time hanging out in the garage together, working on a mutual project, visiting and getting to enjoy Breyers Gelato Indulgences when we were done. We only sampled four of the eight available flavors. 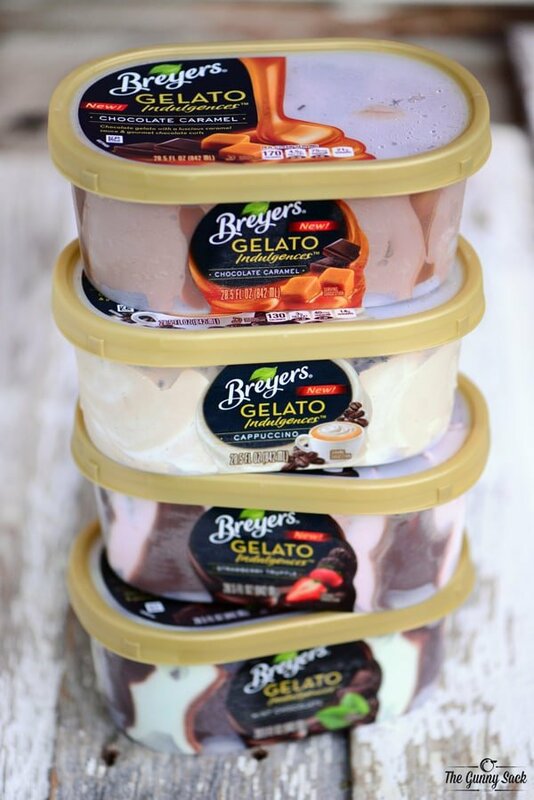 In addition to the ones we enjoyed, you can also buy Breyers Gelato Indulgences Vanilla Caramel, Breyers Gelato Indulgences Raspberry Cheesecake, Breyers Gelato Indulgences Tiramisu, and Breyers Gelato Indulgences Triple Chocolate. 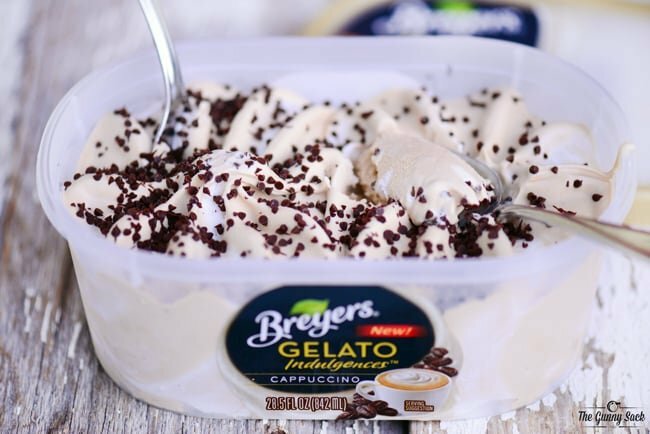 Breyers Gelato Indulgences is available in grocery stores nationwide in a 28.5 oz clear tub, showcasing the gelato with its luscious sauce and gourmet toppings, and retails for a suggested prize of $4.49-$5.99. It looks like Breyers is still making it. If you go to this website: http://www.breyers.com/product/detail/928908/strawberry-truffle-gelato there is a drop-down menu where you can search for stores in your area. Yay for date nights! I LOVEE those breyers indulgences! They are the best! Oh I totally agree! We’ve had all the flavors and everyone we share with loves them! I’m with Brian, pass the cappuccino, please. Yes, the cappuccino flavors is fabulous! Thanks Michelle! Yes! They are all fantastic! Thanks Gerry! mmm, that chocolate caramel has my name on it. Better send my husband to the store asap! Ohhh…the rich chocolate with the smooth caramel is fantastic! Thanks Maria! They truly do have the best gelato! Every scoop is delish! I vote to see the finished project also! I hear ya! Yes, I will have to add a picture when we finish it. Thanks Anita! Now I want to see a picture of the finished table!! Hahaha…so true! Unfortunately, it isn’t quite finished yet. We had plans every day over the holiday weekend. Now we are working on putting layers of polyurethane on it. I’ll post a picture once it’s done. Thanks Beth! My husband buys two tubs of these a week… and gosh golly, we finish off one tub in one sitting! haha No joke. Their gelato is aaaamazing! Your husband is a genius! I love the sound of that! 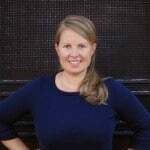 Thanks Katerina!